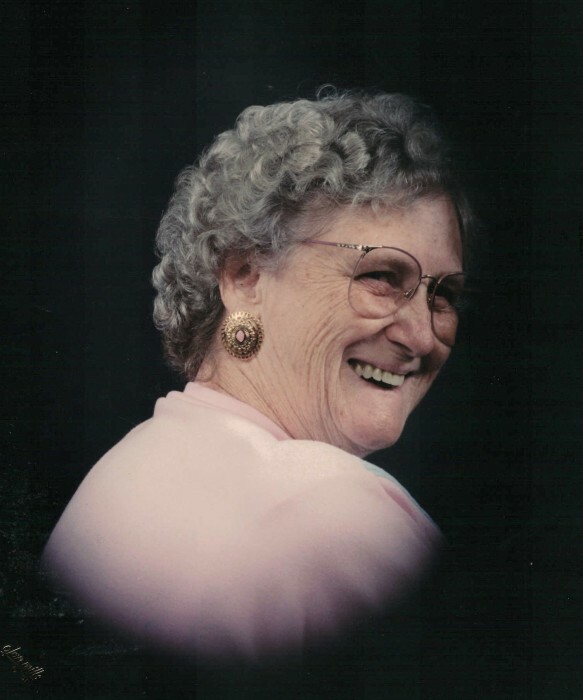 Ellen Jane Kullman 90 of Zanesville passed away Thursday July 5, 2018 at Altercare Nursing Home during a short respite stay. She was born April 17, 1928 in Zanesville a daughter of the late Jack and Blanche Longacre. She worked at Custom Coil, Essex Wire, Brockway Glass but retired from the Muskingum County Senior Center where she delivered Meals on Wheels. She was a member of the VFW Ladies Auxiliary in Zanesville. Ellen enjoyed Bowling, Bingo, Quilting, Sewing and Word Puzzles and other crafts. She had a love of cats and all animals. In her final days she enjoyed spending time with her grandchildren and great grandchildren, stealing their stuffed animals, baby dolls and snacks, then hiding those items from them! Ellen is survived by her children: Jack Jeffrey (Linda) Kullman, Michael Kirby (Kim) Kullman and Patrick Kelly (Helen) Kullman; a step-son Thomas Kullman; 15 grandchildren: Patience, Kirby, Jay, Jamie, John, George, Chad, Monica, Wendy, Fred, April, Melinda, Patricia, Robert and Keith; 36 great grandchildren: Mekinna, Hayleigh, Addison, Jaxson, Riley, Ryder, Logan, Daisey, Shylynn, Ryan, Dakota, Christopher, Lydia, Michael, Ashley, William, Amber, Josh, Joel, Angie, TJ, Tyler, Chase, Samantha, Helena, Eric, Jared, Paige, Amy, Sara, Issac, Ari, Lucy, Christopher, Sam and Devron; and numerous great great grandchildren and nieces and nephews. In addition to her parents she was preceded in death by her husband Frederick A. Kullman whom she married on November 22, 1952 and passed away on May 12, 1990; one son Robert Daniel Kullman; a step son Frederick Kullman II; a sister Betty Longacre-Tracey and a brother John Longacre. Friends may call from 11am until time of services at 1pm on Monday July 9, 2018 at THE SNOUFFER FUNERAL HOME, 1150 WEST MILITARY ROAD, ZANESVILLE, OH, with Pastor Larry Wolford officiating. She will be laid to rest beside her husband in Mt. Sterling Cemetery.